Local MP Nathaniel Erskine-Smith is among the first crop of politicians to be set up on a “date” with a rival politician for TVO’s new series Political Blind Date. The show, which debuts on Nov. 7 at 9 p.m., brings politicians with differing views together to debate issues of the day. The aim is to shake politicians from their talking points, and allow them to “speak candidly as friends and colleagues about the issues that matter to Ontarians,” according to a release sent out last week announcing the show. 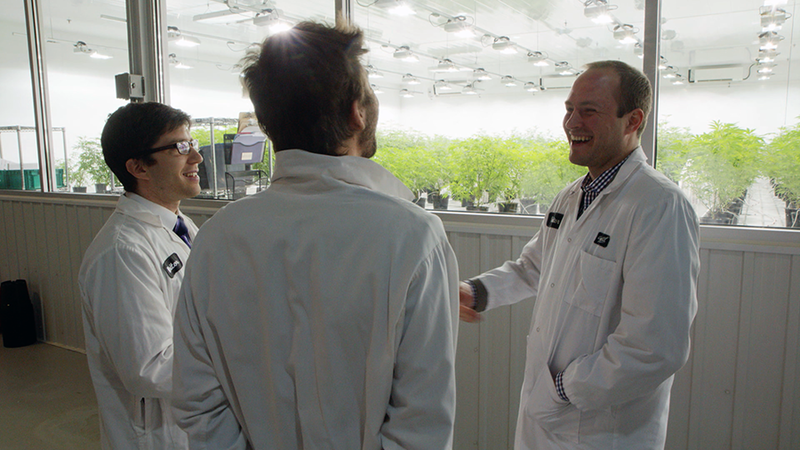 The first episode features Liberal MP Erskine-Smith and Conservative MP Garnett Genuis debating the upcoming legalization of marijuana while touring relevant facilities like a weed dispensary and industrial marijuana grow-op in Smith Falls. The Beaches-East York politician said he enjoyed the process, which was a lesson in the importance of getting out of Question Period and talking with politicians across the aisle. “We certainly got along,” he said, although he noted that neither left the exercise with a significantly changed stance on marijuana legalization. “[Genuis] doesn’t believe there is any responsible use of the substance,” said Erskine-Smith, who not only agrees with the government’s plan to legalize marijuana, but believes all drug use should be decriminalized and treated as a public health issue. The second episode features NDP leader Jagmeet Singh and Toronto mayoral candidate Doug Ford talking transit. Promotional material shows the pair cycling together along the Bloor Street bike lanes.